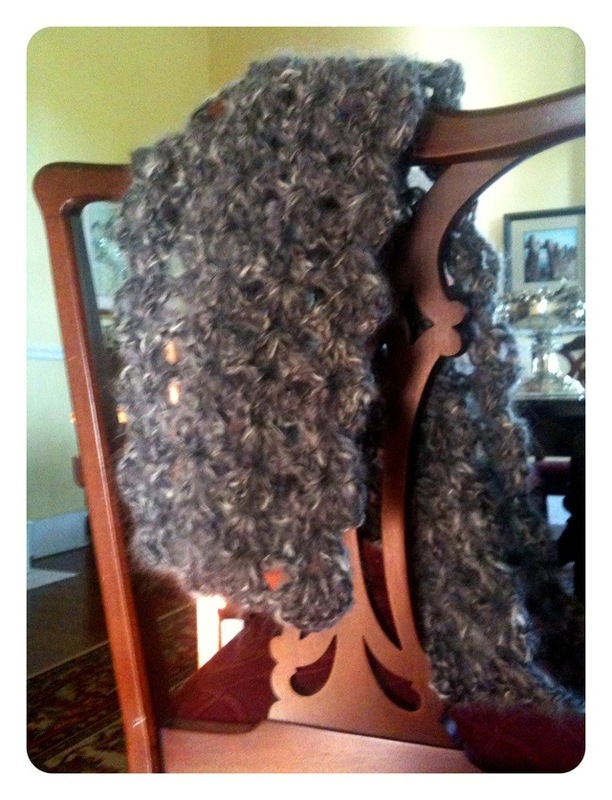 For this scarf I used two strands of yarn. 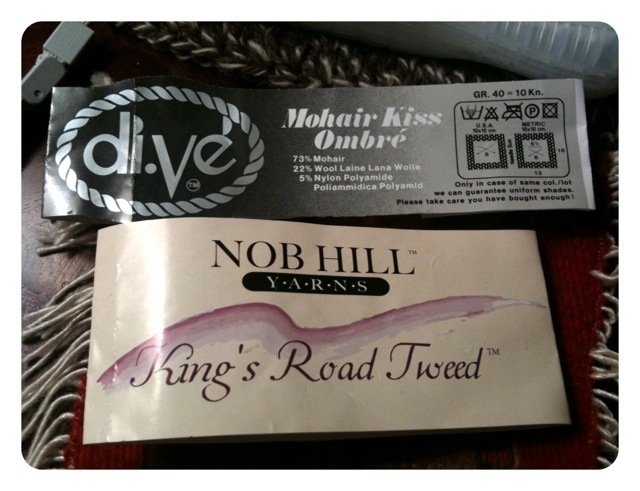 One is mohair and the other a tweed. 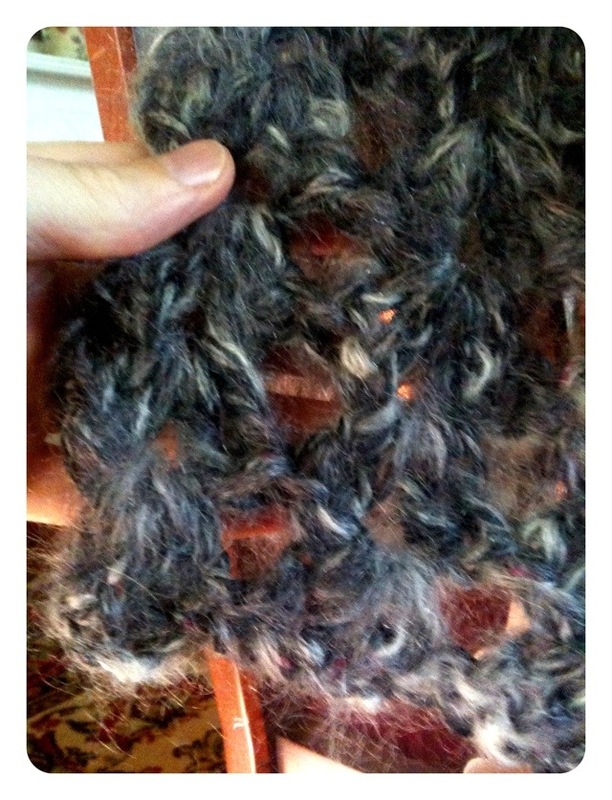 I used a large crochet hook so the fan stitch is really open. This will sure be a warm scarf!